Our range of bathroom consumables is quite extensive, consisting of cotton wool balls, cotton buds, wrapped disposable plastic tumblers, bathroom glasses, disposable bath mats, pvc sanitary disposal bags, paper sanitary disposal bags, pvc toilet seat bands, paper toilet seat bands water conservation signs and tissues. Our tissue boxes fit our cube and rectangular tissue box covers. 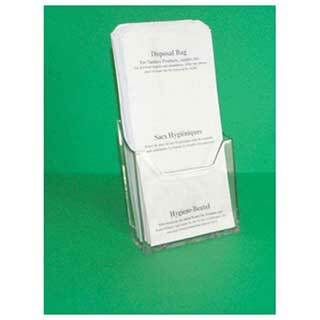 Our sanitary hygiene bag cartridges fit our hygiene bag dispensers. All items are manufactured to the highest quality. A good quality clear glass tumbler for bedroom or bathroom use. 9oz capacity. 36 glass tumblers per case. These disposable clear plastic tumbers are individually and hygienically wrapped. 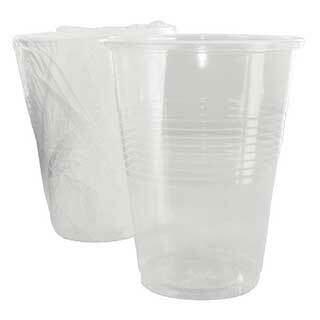 Good quality clear plastic tumblers are ideal for use in the bathroom or bedroom. 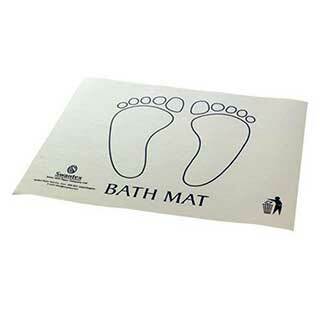 Printed disposable paper bath mat in superior quality white crepe paper. Printed with feet design. Hygienic paper disposable bath mat. Disposable paper bath mats help your hotel to save on laundry time and expense. Size: 43/35cm (17/14"). Pack of 500. White with blue feet printed design. Manufactured by Swantex. 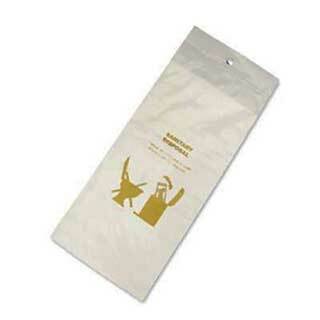 Paper sanitary towel disposal bags in white craft paper. Printed in English, French and German. Standard size 100mm wide x 205mm long (approx). Pack of 1000. PVC sanitary disposal bags available. Sanitary Towel Disposal Bag in white PVC. Reads ' Do Not Place in Toilet' 'Place In Bin For Disposal'. White PVC toilet seat band is placed around the toilet seat. Your guests can be reassured that their toilet has been hygienically cleaned and is ready for them to use. Toilet seat band is a full loop and is placed around toilet seat only or around the toilet seat cover. 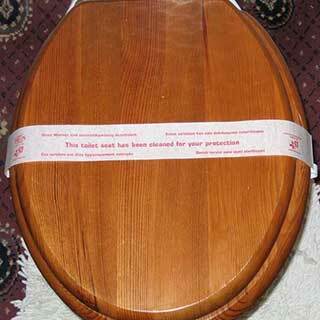 Good quality pvc toilet seat band reads 'SANITISED for your protection'. Approximate size 430x45mm. 1000 per case. We also supply paper toilet seat bands. Paper sanitary disposal bag designed to aid the hygienic disposal of sanitary towels and tampons. 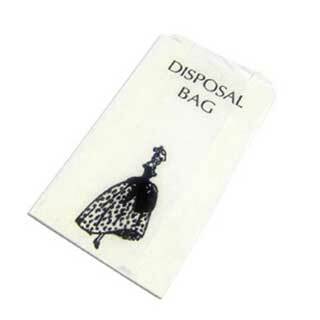 Manufactured from wax coated paper, these lady bags are a low cost option for hygienic feminine hygiene disposal.